For everyone who doesn’t know, each year we host a User Conference for marketers to come hang out and share all the ways they’re using DocuMatix tools. We are consistently blown away by the innovation happening at financial institutions across the nation and our speakers this year had some amazing insight about the industry. Internal tracking: Visions Credit Union rewards employees who volunteer in the community and they use DocuMatix Product Suite to track their hours internally. AVP Mandy DeHate also harnesses the power of internal data to inform members about auto refinancing, mortgage refinancing, credit card usage, and more. Web forms: If you’re not already using web forms ( i.e. permission forms, loan applications, giveaway entries, etc.) you could be missing a huge opportunity. Jenna Taubel from First Alliance Credit Union was able to open 82 new accounts by sending out a combination web form/email to 8k members. Plus, they increased referrals by 600%! Onboarding: The quicker you can onboard new members the better. First Alliance CU also uses DocuMatix on Demand to send up to 7 emails automatically within the first 90 days. The result? Satisfaction rates that were 5-6 times higher than usual. Plus, they saw click-through rates grow 135%! Incentives: In order to get members to switch to eStatements, Delynn Byars from First South Financial Credit Union sent an email campaign offering an incentive of $5. They have had over 500 conversions so far- saving them time and money. Events: Events are a great way to get people in the door of your financial institution and to educate people about your services. Event registration, which is part of the DocuMatix Product Suite, has been key for Julie Goe of Clark County Credit Union. She said it has made the whole process easier and allows her to keep a waiting list ready to go if spaces become available. 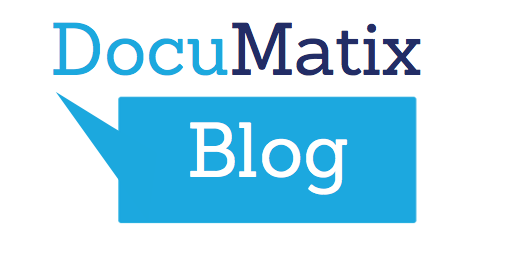 We hope those tips can provide some inspiration when using DocuMatix. Stay tuned for part two and thanks again to everyone who made this happen!